The Drive Medical Model 45 Hand Held Bulb Nebulizer is a hand-held Portable Nebulizer that converts liquid into an aerosol and is used for the treatment of asthmatic patients. It allows you to comfortably inhale the aerosol particles from your liquid medication deep into your lungs and consistently distributes an even amount of fine mist deep into your lung cavity. The Drive Model 45 Mini Pocket Nebulizer Machine with Rubber Bulb Pump is constructed with polycarbonate plastic, and is break-resistant. It also disassembles easily for sterilization. 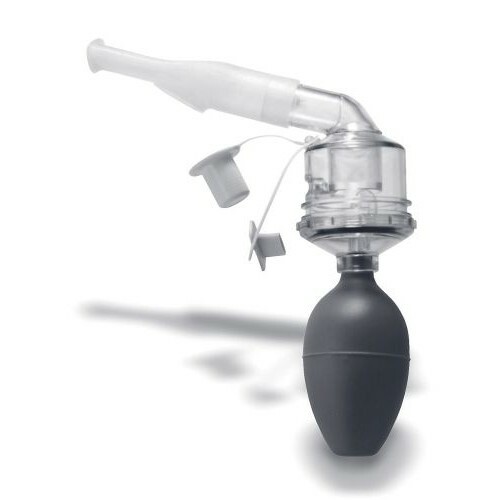 Used in respirator and mask test fit kits this nebulizer comes complete with a mouthpiece, extra jet, and bulb. Do you have the Model 45 Nebulizer in stock ready to ship. This item is in stock via the manufacturer. 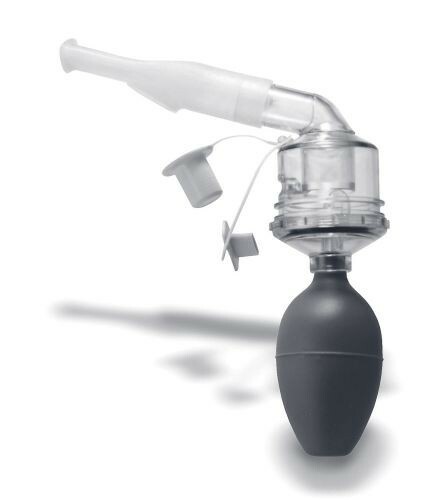 I remember having a squeeze bulb glass nebulizer when I was young and suffering through childhood asthma so when I started looking for one recently all the local pharmacy and medical supply stores had no idea what I was talking about. Found this on a google search and ordered it. Arrived very quickly and is exactly as described and what I was looking for. Works great and obviously has no set up like my electric nebulizer. I'm using it as an emergency inhaler with asthmaneferin when I have some mild weezing. Works great for me and is quiet.